Nala and I went out to Dawson Creek Park in Hillsboro to look for a Rusty Blackbird reported the day before. This site, a private park associated with the office park behind the public library, is a manicured park with paved trails around a series of small ponds. 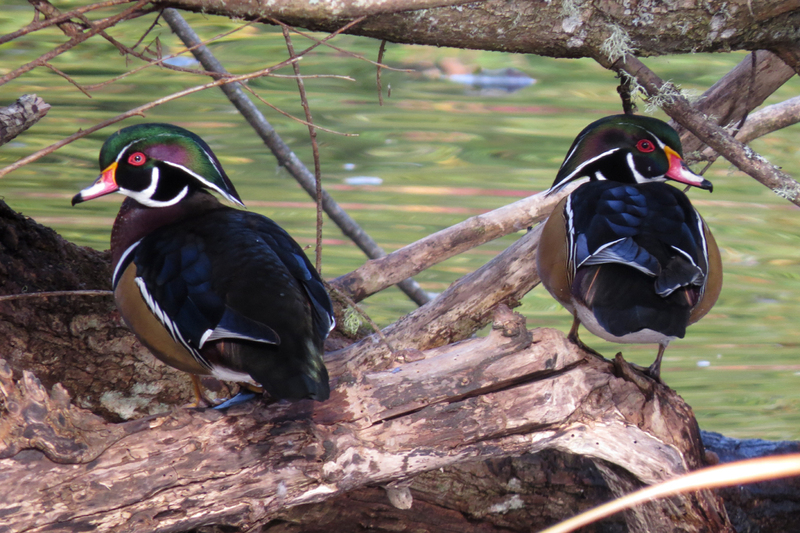 It attracts good numbers of waterfowl in winter, some migrant songbirds, and a few resident Acorn Woodpeckers. 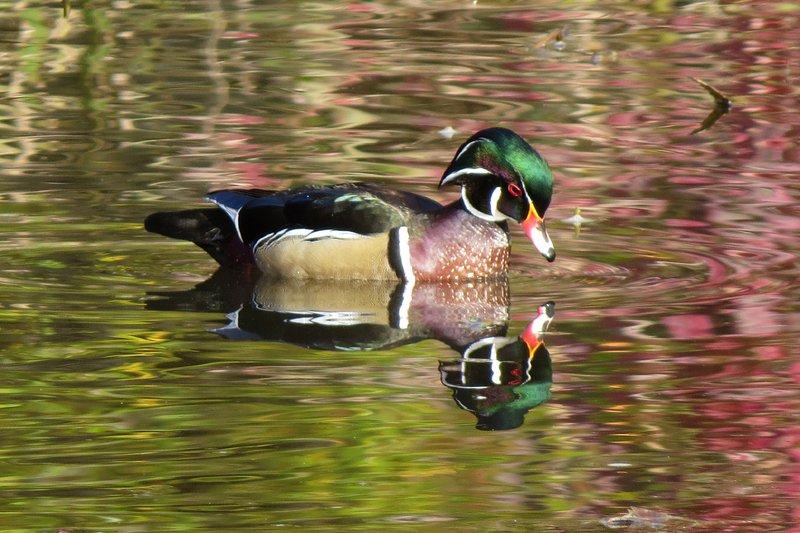 Wood Ducks are common in the ponds. 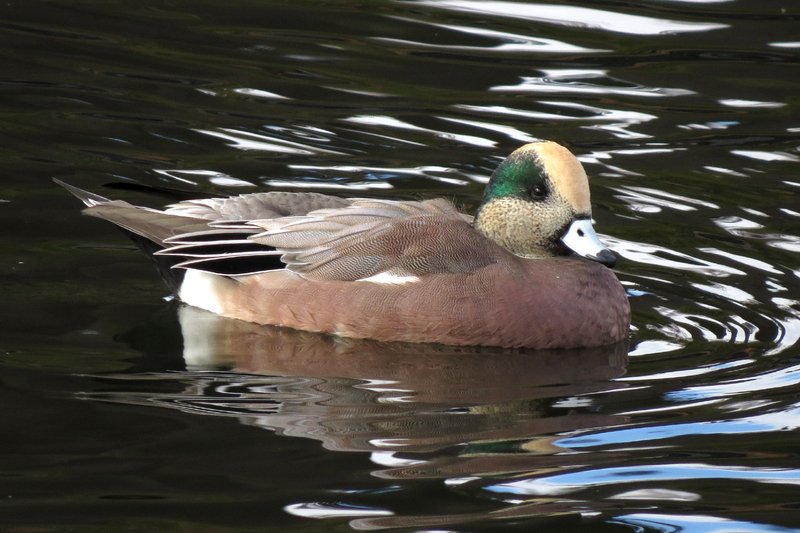 Some of the males were displaying to the females, swimming around slowly with their heads lowered. 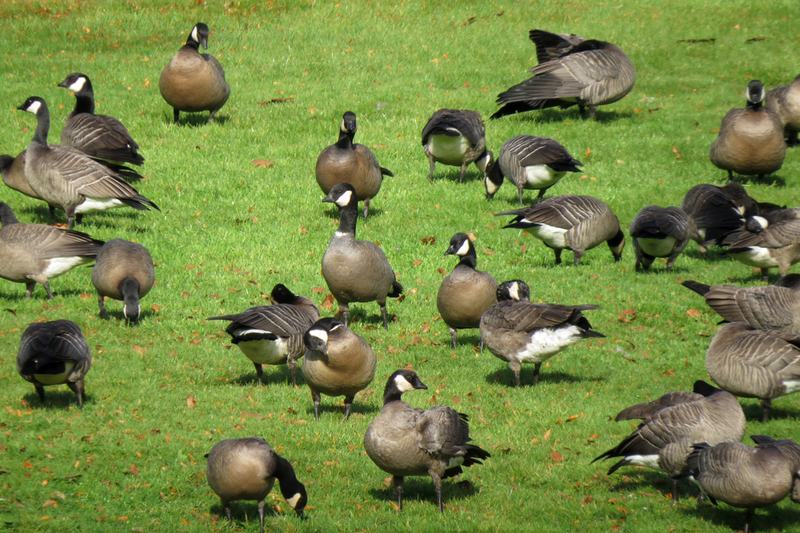 Cackling Geese were grazing on the lawns. 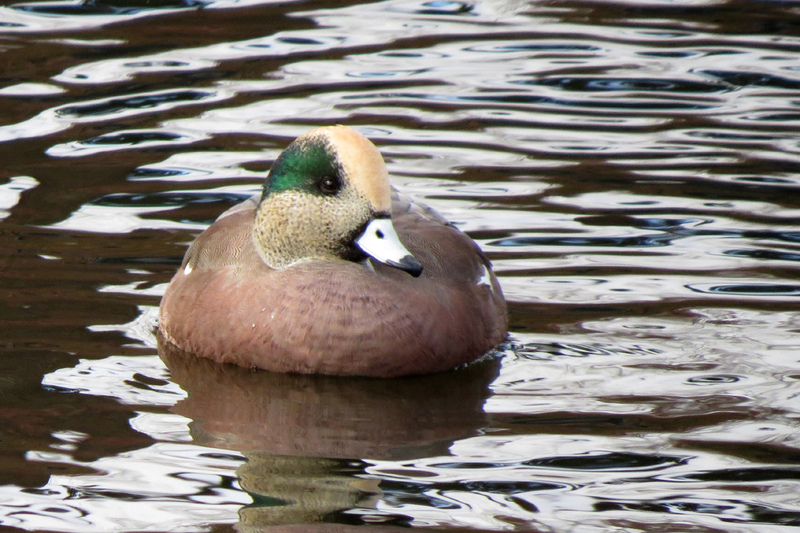 There were just a few American Wigeons in one of the ponds. I expect their numbers to increase at this site within the next couple of weeks. 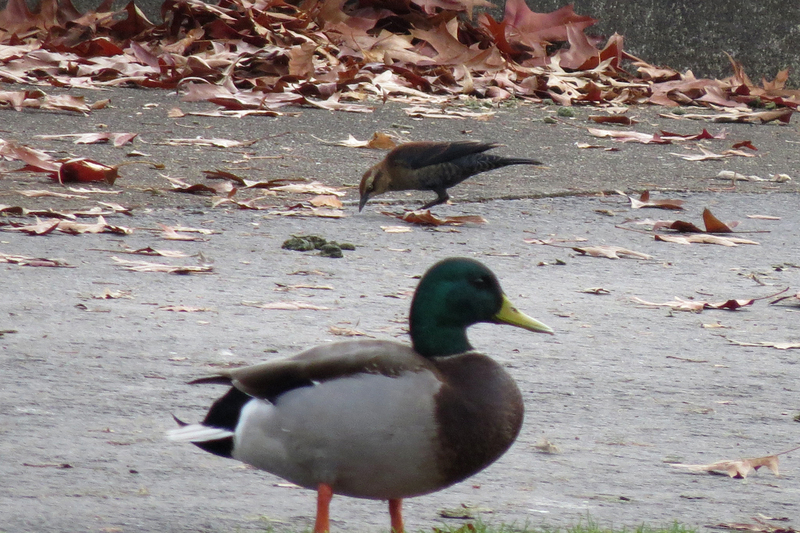 Just as I was finishing my tour of the site, I finally saw my target bird (the Rusty Blackbird, not the Mallard). 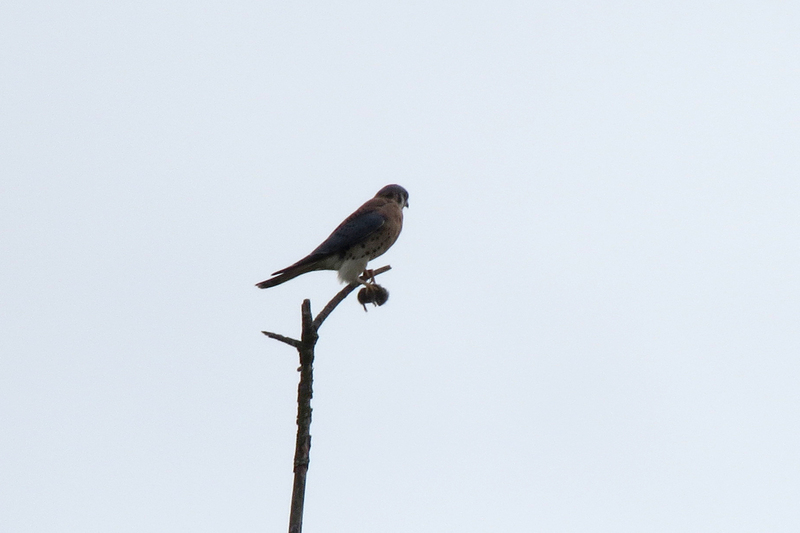 It would have been nice to get some full-frame photos like some other birders were able to get about three minutes earlier, but I was glad to add this species to my Oregon list. 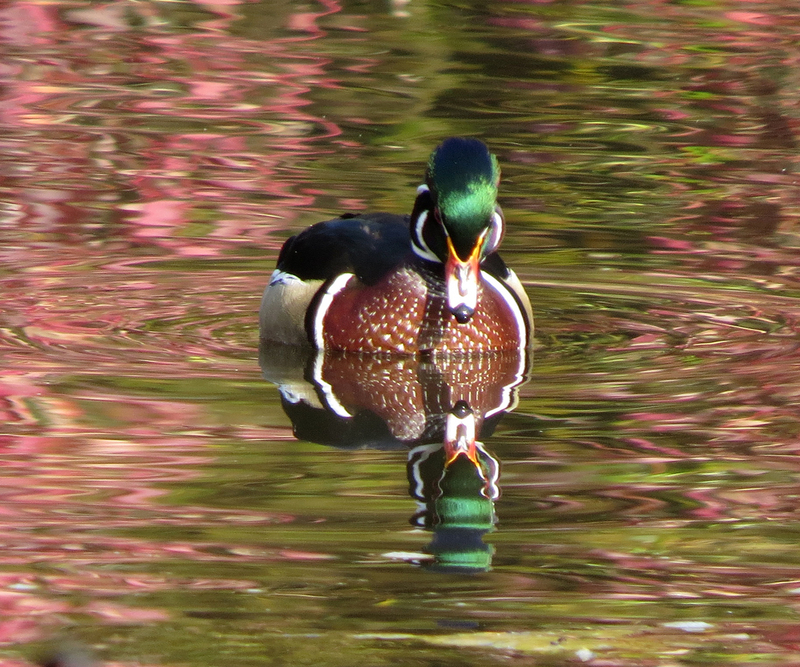 There are less than 20 accepted records of this species in the state. Rusty Blackbirds have experienced drastic population declines in the last few decades. 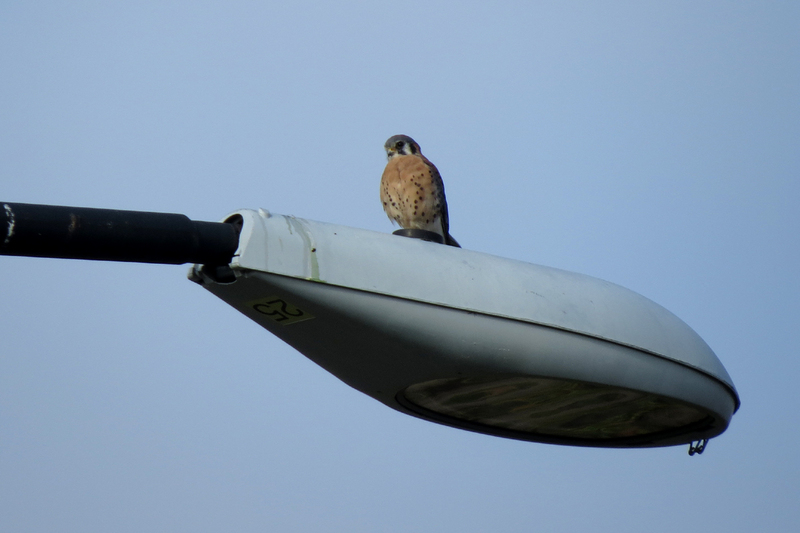 This entry was posted in OR Birding Sites, rarities and tagged American Kestrel, American Wigeon, Cackling Goose, Dawson Creek, Rusty Blackbird, Wood Duck. Bookmark the permalink. Sharing on Facebook is fine.